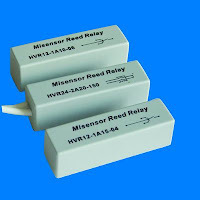 Reed Relay - Misensor Tech (Shanghai) Co.,Ltd. 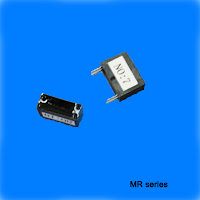 Compared to other relay technologies ,reed relays have the advantages of hermetically sealed contacts ,low coil power, fast operation ,long life and small size . 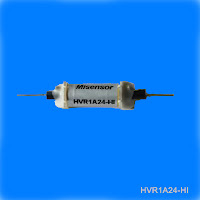 Compare to the electromechanical relays, the reed relays are hermetically sealed, the contacts can switch low -level signals as low as femtoamps and nanovolts. Similarly , semiconductors have capacitance ,leakage currents and semiconductor offsets to deal with that clearly limit the switching and detection of low voltage and currents . The reed relay has no wearing parts and therefore, under signal conditions will switch into the billion of operation with fault free operation . Reed relay are normally mounted to circuit boards. the reed relay terminals should not be bent, for example,to make them self-clinching .Avoid bending the terminals to fit misaligned holes .Unshielded relays placed too closed to each other can influence each other ,Shielded relays are an option in this case and for environments with high magnet fields from motors ,magnet ,ect. 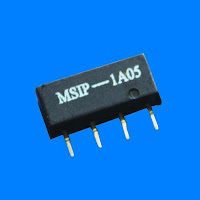 Reed Relay are normally used for switching applications requiring low and stable contact resistance ,low capacitance ,high insulation resistance ,long life and small size .Such as telecommunications ,ATE ,TEST equipment and so on .